When a young woman (Kristen Bell) realizes her brother is about to marry the girl who bullied her in high school, she sets out to expose the bride (Odette Yustman). Then her mom (Jamie Lee Curtis) comes face to face with her own high school rival, the bride's aunt (Sigourney Weaver). 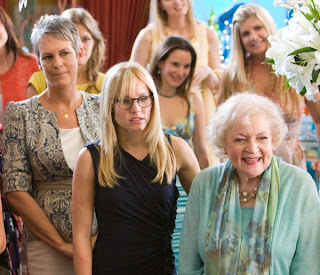 Yes it looks like standard cliche stuff, but it has a great female cast that also includes Betty White! It's scheduled to hit theaters on September 24th.